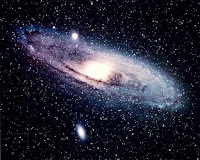 No-one know how many stars there are.Star exist in group called Galaxies.Our own star, the Sun, is part of a galaxies called the Milkey way.The milkey way contains about100 thousand millions stars.At the present time,astronomers are aware of more than 100 thousand million galaxies.So the total number of stars in the universe is enormous. 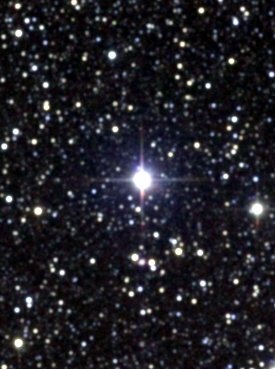 Because most stars are very far away, even the best telescopes show them as just spots of light.But our own sun is mucher closer.Astronomers can study the sun to find out about what happens inside stars. 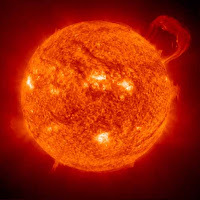 The sun is made up of gas.Most of the gas is hydrogen.The temperature at the surface of the sun is about 6000 degree celsius.Deep inside the sun, the temperature is 16000000 degree celcius.Inside the sun,the nuclei of hydrogen atoms fuse together to form helium atoms.This is called nuclear fusion.It is release enormous amounts of energy.Human have also made nuclear fusion happen,using hydrogen bombs.Scientist are now trying to make nuclear fusion happen in a controlled way,so that the energy released can be used to electricity. We live on a planet called earth.To us it is enormous.It is our home space.But the earth is only a tiny part of the univers.If you look up at the sky on a clear night,you can see thosuands of stars.The patterns of stars are called the constellations.The sun is a star.It looks very different from the stars you see at night because it is close to us.The sun is about 150000000 km away.The next nearest star to the earth is called Proxima Centauri.It is 40000000000000 km from the earth. These distance are very large by earth standards.The kilometer or meter is not a very useful measurement for astronomers to use.Instead,they can use light years.Light travel through space at 300000000 meter per second.In one year,it travels 9500000000000 km.So one light year is 9500000000000 km.Proxima Centauri is 4.2 light years from the earth.If you look at Proxima Centauri(which you would need to do with a telescope,because it is very faint star),you see it as it was 4.2 years ago.